The shift in seasons is happening! Picture taken on Long Island, New York in September 2013. Are you swept off your feet by the cool breeze and vibrant, crackling leaves that color many of the United States’ cities as the seasons shift from summer to autumn? Who can’t fall (pun intended) in love with this artsy time of year? So grab a bowl of chili and get comfy with a pumpkin-spiced whatever, because here are cities in eight different states ready to burst in cozy shades of style. Happy leaf-peeping! The Adirondacks are breath-taking in every season, but the colors of fall make it fantastically dazzling. With rich colors spreading throughout the mountains and across the valleys, this region dresses up in powerful personality. Boasting to have one of the longest fall seasons in the country, Lake Placid is a must-see to take in natural sights of beauty while enjoying harvest festivals and outdoor activities. Be sure to plan ahead, as lodging is difficult to snag during peak foliage, which typically occurs during the last two weeks of September. Between the middle of September and early October, the city’s namesake trees will not disappoint. With cool weather perfect for hiking and biking, there’s plenty to do with one of the season’s most beautiful backdrops. Set in the Rocky Mountains, Aspen is typically known for skiing, but it also offers high-end boutiques and topnotch restaurants. Who doesn’t like an incredible view with good food? Decked out in enchanting hues of fall, Oakland makes for a delightful location to take in the sights of the season. 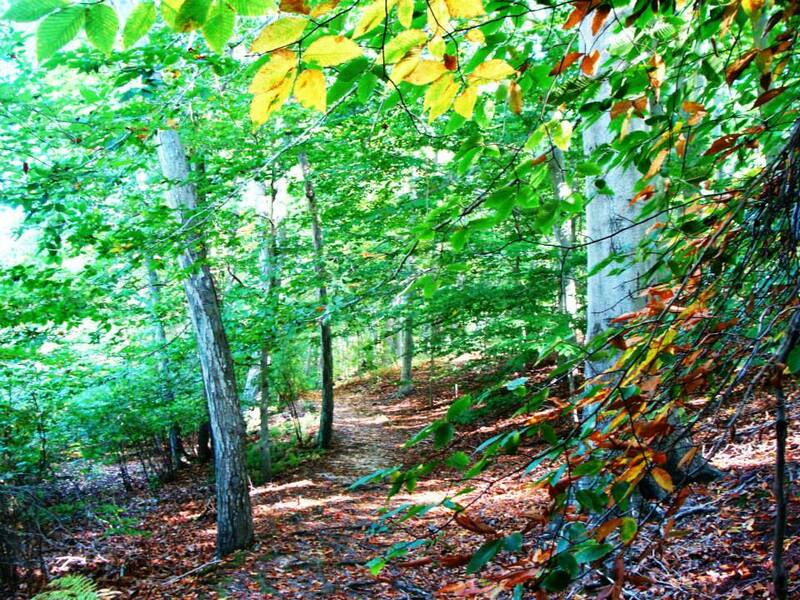 The mountains of Maryland also have plenty of activities to offer, hiking being a favorite. Bring your camera! Besides for leaf-peeping, you can also explore fall festivals, parades, and art exhibits. Get a taste of the best of both worlds in downtown Portsmouth. With gorgeous fall colors and tasty dining options, you’ll awaken the photographer within. Prescott Park is known to offer flashy views of the harbor, and, really, you’ll catch a glimpse of the Earth’s natural art anywhere you visit in New Hampshire. Stowe remains a popular destination for scenic views, and it only gets better as fall cozies in. Know that peak foliage in Vermont varies from year to year, since timing depends on temperature, sunshine, and rainfall, but no matter when you visit in early-to-mid fall (early October is usually a good time), you’re pretty much guaranteed to get a glimpse of blazing yellows and rusty reds. Known for its trails and ski slopes, Stowe is great for that quaint small town feel and will welcome you with restaurants, farmers’ markets, festivals, and concerts. Check out Whitefish from late September to early October and you’ll likely find yourself surrounded in a scene of charming leaves. Although there are magnificent aspen trees here, it’s the tamarack trees that steal the show. Be sure to get involved in some of the mountain activities in the area, because there’s plenty for outdoorsy folks to do. Of course, Salem has to make the list, since it’s a go-to city for fall fun and spooky Halloween activities, such as witch hunts and trick-or-treating. Typically, late October will have this city’s streets pulsing in golds and oranges while spreading across the neighborhoods, bursting the color out of them. Themed boat rides are also a thing. Beware: you may want to live there. Also, if you’re not a fan of crowds, visiting Salem in October won’t be the best decision. The Columbia River Gorge is known for its spectacular fall foliage. To top it off, you can drive along the Historic Columbia River Highway and rack your brain with history as you absorb nature’s beauty. Talk about the most exciting history lesson ever! Where do you celebrate autumn? Make like a tree and leave a comment below!